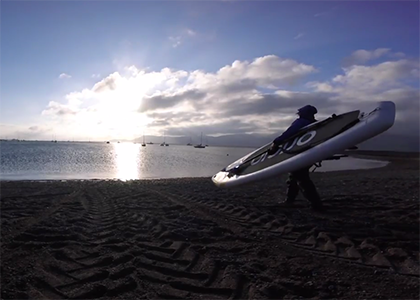 I set myself a challenge to circumnavigate Anglesey, North Wales, on a stand up paddle board (SUP). 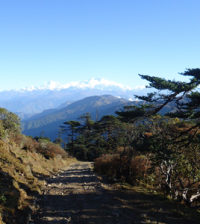 A 120km journey around the fascinating and rugged coastline. I did it to raise money for The North Wales Wildlife Trust and Surfers Against Sewage. My nain (grandmother in Welsh) loved wildlife, taking photographs and actively involving herself with the Wildlife Trust in Wales, so I’m continuing her legacy. I’m also a supporter and Anglesey Regional Rep for Surfers Against Sewage as they raise awareness about water pollution which I’m very passionate about. I also did it because I wanted a challenge and to see if I could do it! Anglesey has a complex and challenging coastline and it’s all in the planning and strategy to get it right. I hatched the plan after completing the 3 Lakes Challenge. I was the first person to complete an unsupported SUP of the three longest lakes in Wales, England and Scotland and I loved the challenge and adventure. 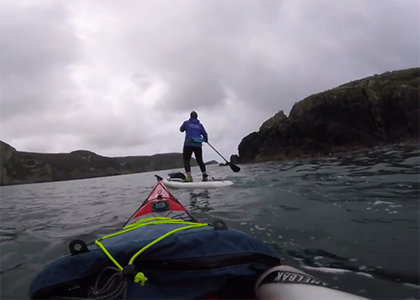 That’s when I came up with the idea to SUP around the whole of Anglesey, where I live. In preparation I studied maps, tides and weather forecasts and decided to launch near to where I live and head anti-clockwise around Anglesey. I paddled down the Menai Straits. It’s a narrow section of shallow tidal water, which separates the island from the mainland. The differential tides at each end cause very strong currents to flow in both directions at different times. This can create dangerous conditions. One of the most tricky areas of the Straits is known as the Swellies (Pwll Ceris in Welsh). Rocks near the surface cause local whirlpools. I loved every minute traveling through this section! It’s such a classic and iconic stretch to do and I always enjoy paddling there. There’s certainly a degree of risk but if you have the skills and confidence it can be fun. For the first couple of days I struggled battling with very strong winds and it made progress slow which frustrated me. I had a low moment when I couldn’t carry on as the wind was too strong, but I soon shook it off. The priority was being safe and able to say enough is enough and revise plans. It’s all about reading the weather correctly, understanding the tide, the conditions and to have a strategy. During my trip, I carried a lot of safety kit on my board. My support came from a friend who joined me on some sections kayaking, carrying extra gear or driving a vehicle whilst monitoring my performance from the headland. Committing yourself to this type of adventure, you need to be well experienced, have the right gear and know how to use it and have a clear strategy. I really enjoyed my experience being in the open sea; the solitude, the sound of the water, the reflections, feeling at peace, the sun on my face and that feeling of utter freedom, away from it all and being reconnected with nature. Watching birds fly over my head, fish jumping out of the water in front of my board and seeing beautiful jellyfish float elegantly past me. One of my fondest moments was seeing porpoise leaping and enjoying the tidal races. It felt truly magical to experience this and I will not forget it. The hardest part of the journey was crossing into Holyhead Harbour, a 7km open stretch water. A big hard push was needed as the tide was just starting to change. I was tired after paddling 37km and it was the last bit of effort. Also, I had to time it around all the big Irish Ferries coming in and out of the harbour. I enjoyed pushing myself, especially in the notorious tidal races at North Stacks, South Stacks, Penrhyn Mawr and Porth Lynas. These areas on Anglesey coastline have strong currents, tidal races and choppy conditions, however, the conditions were in my favour and I loved it, working hard on the board in complex waters. It certainly was a good workout! It was such an amazing feeling to complete the challenge and I’m pleased as punch to be the 1st person to circumnavigate Anglesey on a stand up paddleboard too! I hope I can inspire others to get outside, to do what they enjoy. 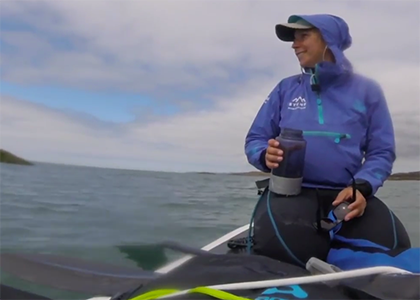 Sian is an International Mountain Leader and SUP paddling instructor based in North Wales and runs her own business Psyched Paddleboarding. Sian’s mission is to inspire others to SUP and to offer a high quality and truly memorable stand up paddle boarding adventure either by hiking to a tranquil wilderness lake or exploring stunning coastlines. 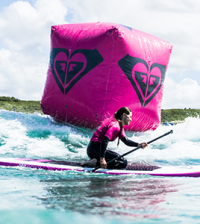 Sian is a brand ambassador for Aquapac and Peak UK.